Five members of the same extended family died when the aircraft crashed on Rhinog Fawr in the West of the national park on Wednesday. The Twin Squirrel helicopter was travelling from Luton to Dublin when it disappeared from radars. Initial searches switched from the Irish Sea to the north Wales mountains and involved volunteer mountain rescuers from all the teams in the area, along with RAF Valley Mountain Rescue Team. The wrecked helicopter was found by mountain rescuers more than 700m up on the hillside, on difficult and remote terrain. An exclusion zone of five nautical miles around the site was set up, which has now been reduced to two nautical miles. The five on board, who all died in the crash, have been named as Kevin and Ruth Burke aged 56 and 49, Donald and Sharon Burke aged 55 and 48 respectively and 51-year-old Barry Burke. All are from the Milton Keynes area. Difficult terrain and bad weather hampered the recovery of the bodies, but all have now been brought down from the mountain. Chief Inspector Richie Green of North Wales Police has paid tribute to the professionalism, bravery and skill of all those involved in what the force called a challenging and distressing operation. He said “Shortly before 3.30pm this afternoon the last of the five who were on board the helicopter were recovered and they have now been transported to a local hospital’s mortuary. “Thames Valley Police family liaison officers have informed family members and we can now begin the very difficult process of formal identification. We’ll continue to support the family and I’d simply ask both media and public alike to respect their privacy at this time. “Our thoughts remain with the extended family and their friends. “I would also like to thank the police officers and mountain rescue personnel not just for their dedication and skill in very trying conditions but also the dignified and compassionate manner in which the whole operation was conducted. “Until the helicopter is fully recovered the scene will remain cordoned and under police and RAF guard so I’d remind people to please keep away from the area. “The temporary exclusion zone over the crash site with a height of 5,500ft above sea level remains in place but has been reduced to a two-mile radius. Recovery of the helicopter will begin, weather permitting, this weekend and led by the AAIB while North Wales Police will prepare a file for HM Coroner and assist the AAIB investigation. 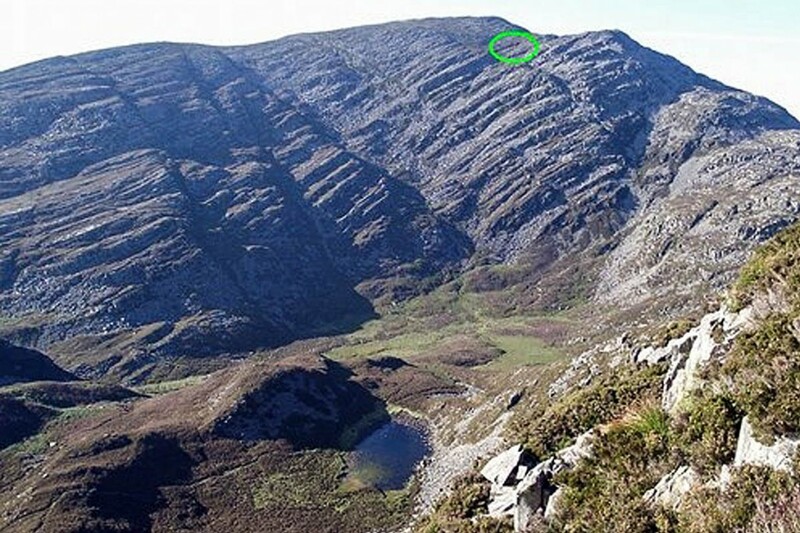 The 720m Rhinog Fawr lies about 7.5km (4½ miles) east of Harlech, near the western edge of the Snowdonia national park.